In small and medium sized businesses it can be very difficult to find the time or resources to properly equip your managers to not only ‘see to’ the work getting accomplished, but also to achieve unbelievable employee engagement by embracing their position to drive transformation throughout their staff and the organization. Our specialty is making sure your managers have all the information and support they need to succeed in their roles and develop the next generation of leaders behind them. We utilize a flexible combination of onsite training, virtual resources, and coaching to fit your time constraints and budget. It starts with building out an’ideal leader’ profile that aligns with your vision and your values. This allows us to develop assessments, training, and mentoring programs to grow current and future leaders who are passionate about your vision, and about growing their people. We provide one-on-one or group coaching for you and your managers to help get to the next level of effectiveness. If you are like most business owners, sometimes you need an objective third party with no bias to serve as your sounding board. We can help you strategize and build out your short and long term business plans, or work through difficult situations. This is also a great option for to get newer managers through hurdles such as conflict resolution, delegation, time management and work-life balance. 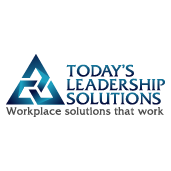 Contact us today to find out how we can help your leaders.